Southern Spirit Music Blog: Lonestar Time : un' estate ricca di grande musica ! 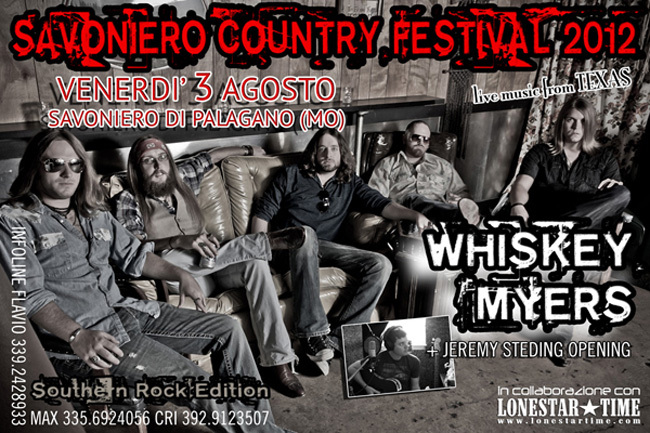 Southern Rock, Blues, Hard, Heavy, Prog... solo buona musica ! News e video. 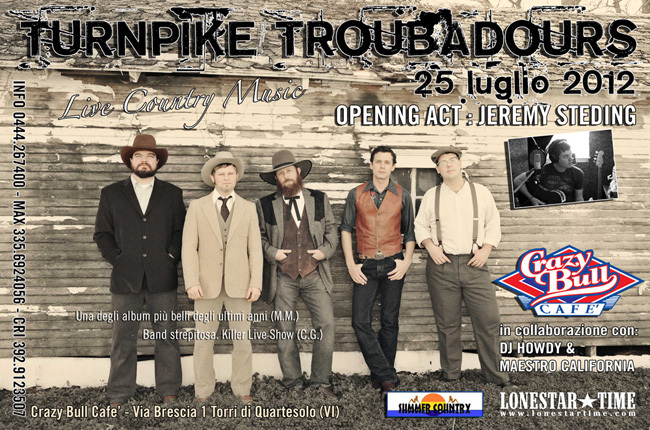 Lonestar Time : un' estate ricca di grande musica ! 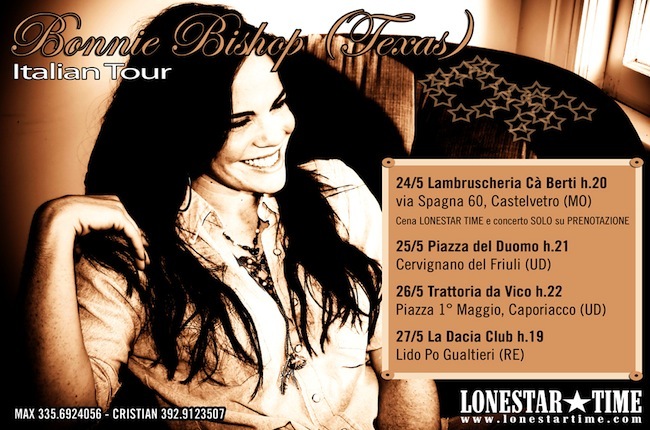 Ancora un'estate ricca di grande musica e divertimento assicurato grazie alla Lonestar Time, eccellente staff che organizza i migliori appuntamenti nel nostro paese dedicati alla Texas Music e dintorni. 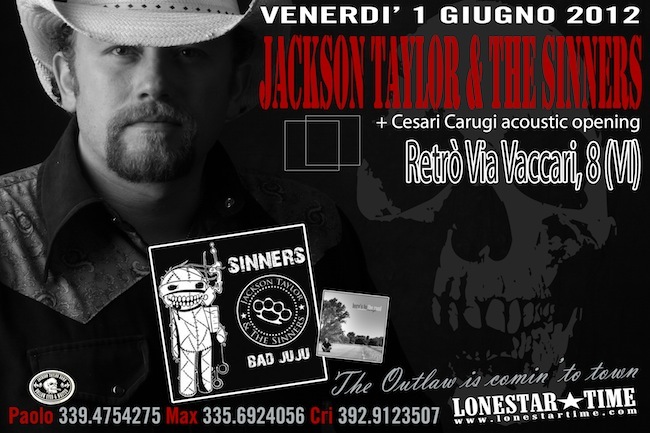 Ecco gli artisti e le date da non perdere tra ottimo country e accenni soul con Bonnie Bishop, il ruvido e graffiante Outlaw Country di Jackson Taylor e The Sinners, il Classic Country di Turnpike Troubadours e le atmosfere Southern Rock con Whiskey Myers ! 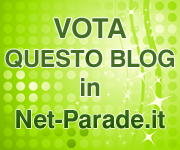 Do you want to advertise new releases ? I accept promo material and album releases in the field of Southern Rock, Blues, Classic Rock/Hard/Heavy to publicize through this blog. You can contact me through the form below, or my Facebook page. Accetto materiale promozionale e nuove uscite discografiche in ambito Southern Rock, Blues, Classic Rock/Hard/Heavy da pubblicizzare tramite questo blog. Solo pubblicità e visibilità, no recensioni. Potete contattarmi tramite il modulo qui sotto o tramite la mia pagina Facebook. Max " Southern Man ". Tema Fantastico S.p.A.. Powered by Blogger.